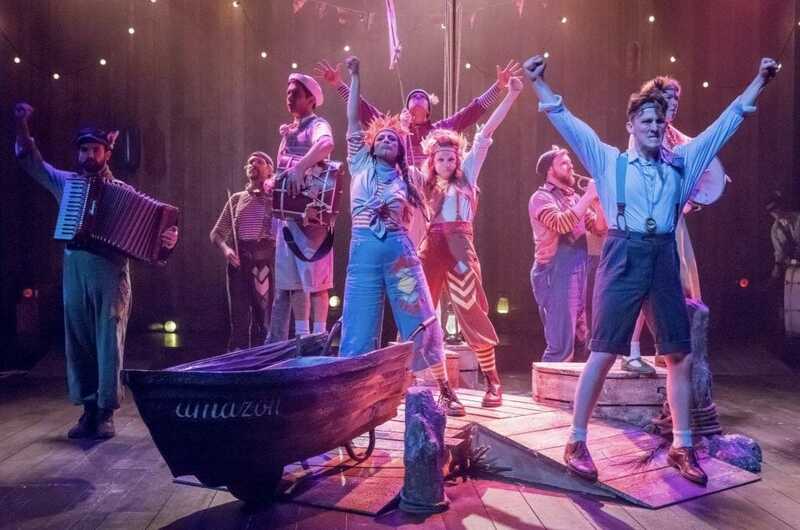 After the success of The Secret Seven at Christmas, we were excited about returning to this fabulous theatre to watch Swallows and Amazons at The Storyhouse, Chester for the Saturday matinee. 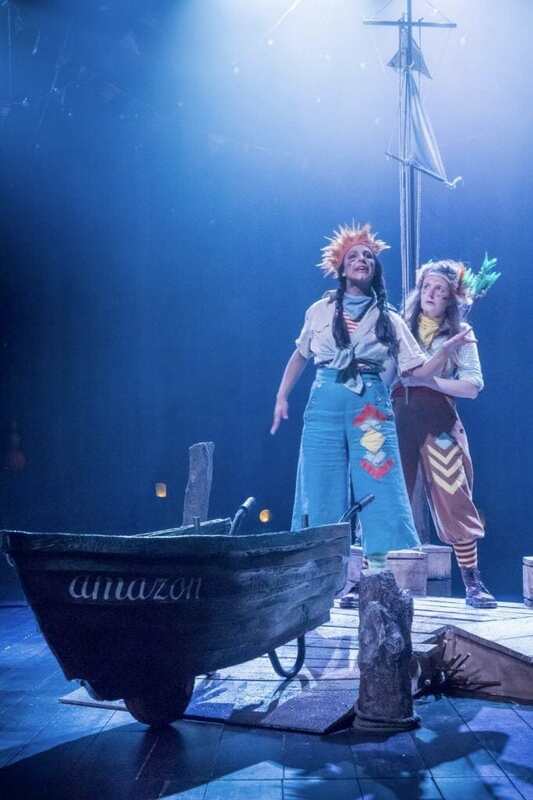 Bryony Lavery’s new adaptation of Arthur Ransome’s Swallows and Amazons was in the words of a six year old – Epic! The story if you haven’t read the classic children’s book, or watched the fabulous recent film adaption follows the Walker children setting out in their boat for a nearby island for an adventure. You’re invited into the Storyhouse theatre with a message on the PA inviting all budding pirates and explorers to come and join in which set the tone of excitement for the afternoon. John, Susan, Tatty and Roger Walker encounter ‘Captain Flint’ (an elderly adventurer writing his memoirs on a houseboat), and the Blackett sisters (the Amazons) on their adventure and their escapades are fun, only a little bit scary and and in true 1930′ style always end up with tea and cake too. There are some stand out performances from Claudia Grant as Tatty and Aryana Ramkhalawon as Amazon Nancy (who was also fabulous in The Secret Seven). As a family of three girls we loved the strong female performances and whilst John certainly plays the big brother, he is definitely not the only one in charge. The set changes and music are throughout the play are wonderful and kept the kids engaged. After wondering on the way in how they were going to replicate the lake and the water the kids didn’t ask again and simply accepted the stage, so in awe were they of all the adventure. Towards the end during the ‘battle’ scene the kids are all encouraged to throw plastic balls onto the stage which are liberally distributed around the audience. A really nice touch. 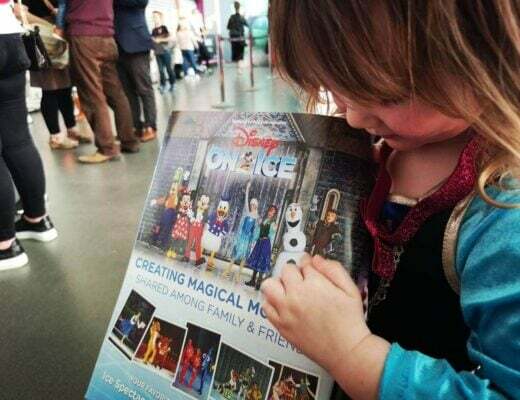 The Saturday matinee was packed with families (and perhaps surprisingly loads of grown ups without kids too). I think the show will transfer fantastically to the Storyhouse’s outdoor theatre space in Grosvenor Park later in the summer (14 July-26 August). In fact a show such as Swallows and Amazons was really designed to be seen outdoors. 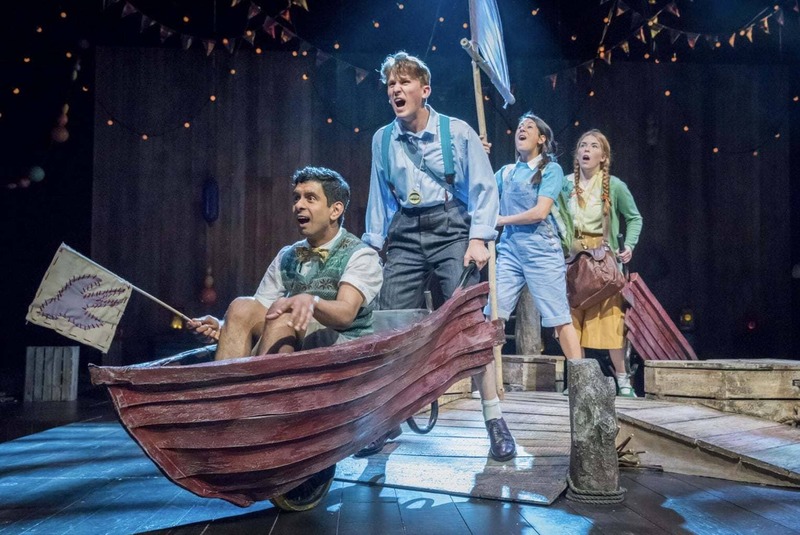 Swallows and Amazons is on until 30th June at the Storyhouse and we would recommend you head over to see it a little bit earlier and take advantage of the library and the great food they serve in The Kitchen. With an ever changing menu the food is delightful (although the children’s portions a little on the small side for 6-7 year olds) but for adults the tapas is definitely worth considering as an excellent addition to Chester’s restaurant/cafe scene. NB: We were invited to The Storyhouse in order to review Swallows and Amazons but all views and opinions are my own.